The Very Berry is like a nightclub for berries. Or so it would appear and that’s exactly what Frank wants the berries to think. Because the minute they enter into the nonchalant “club” which is in-fact an oven, Frank slams the door shut turning the Very Berry into baking inferno! 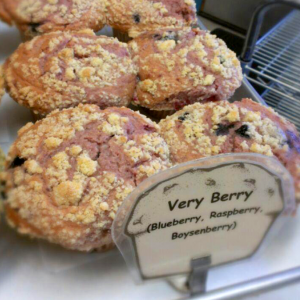 The result is a berry berry delicious muffin.